The kidneys participate in all vital processes of the body to maintain overall homeostasis and health. When kidneys are injured during surgical interventions, metabolic and hemodynamic control is disrupted, leading to dysfunction associated with greater mortality, length of hospital stay and cost. 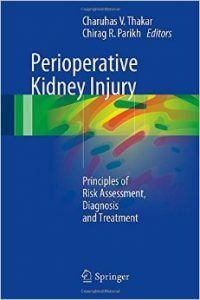 Peri-operative Kidney Injury presents the epidemiology, risk factors, diagnosis, treatment and outcomes associated with kidney injury during the peri-operative period. 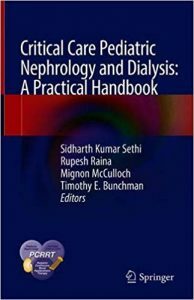 Concepts and principles of care to prevent kidney complications during surgical procedures are provided to equip health care professionals along with strategies to manage acute kidney injury and associated challenges when they occur. Chapters detail diverse surgical settings, ranging from the more common, such as abdominal, cardiac and vascular surgeries, to the intricately complex, including the use of the left ventricular assist device and organ transplants. This practical and comprehensive text blends the evidence-based standards of care with cutting edge advances in the field, while also providing the reader with a peek into innovations on the horizon. Kidney disease is a global health concern that affects people of all ages and races. Based on the work of the National Kidney Foundation and the Kidney Disease: Improving Global Outcomes foundation, guidelines have been developed outlining the parameters for patient care. 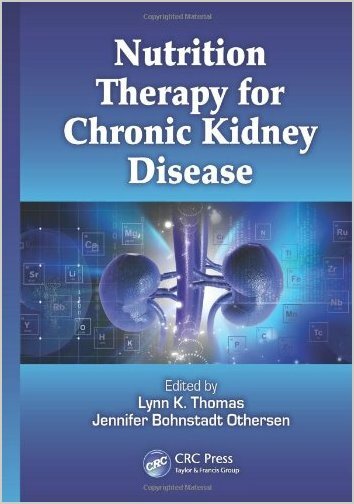 Nutritional Therapy for Chronic Kidney Disease builds upon the discoveries made by these institutions and expands upon their recommendations to provide a comprehensive guidebook with practice protocols for individuals with kidney disease. 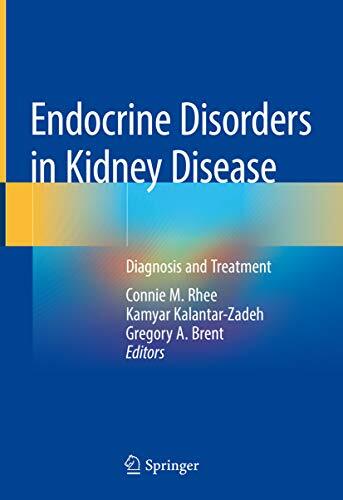 Reflecting the medical community’s emphasis on patient-centered care, this volume provides a complete primer on the importance of diet in maintaining kidney health and provides practical guidance to caregivers charged with devising nutritional strategies for kidney patients. Seeing a patient die under his hands because there is no adequate treatment causes an emotion and a frustration in a doctor, which sometimes stimulates him to try to develop a new type of treatment. Seeing so many wounded young soldiers die due to renal failure in World War I incited the German doctor Georg Haas to try to develop an artificial kidney. He had to give up in despair in 1928. Ten years later doctor Willem Kolff saw a young man die in his ward in the University Hospital of Groningen due to renal failure. By that time two essential factors for an artificial kidney had become available: a drug to keep the blood from clotting outside of the body and an efficient dialysing membrane through which waste substances can pass from the blood into the dialysing fluid. Kolff succeeded in creating the rotating artificial kidney which he started using in the town hospital of Kampen in 1943. The rotation of this artificial kidney started a revolution that made it possible for thousands of kidney patients all over the world to keep on living – and sometimes to forget their disease for the time being. In addition it gave rise to the development of other artificial organs such as the heart-lung machine, the artificial heart and the artificial eye. 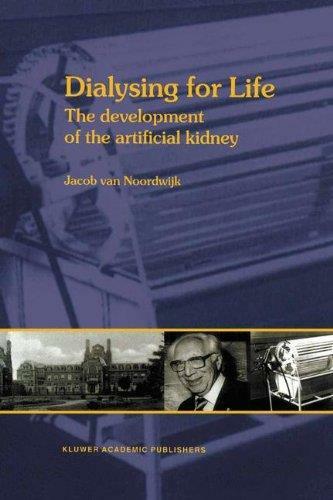 Doctor Jacob van Noordwijk, the author of this book, was Kolff’s first assistant in the treatment of the first 15 patients. How Kolff succeeded in spite of all the limitations imposed by the German occupation of the Netherlands and in spite of the absence of antibiotics and other medical tools which are common nowadays makes a story which may sound incredible. Yet it did happen and visitors to the town of Kampen can still see the hospital building where it all took place. 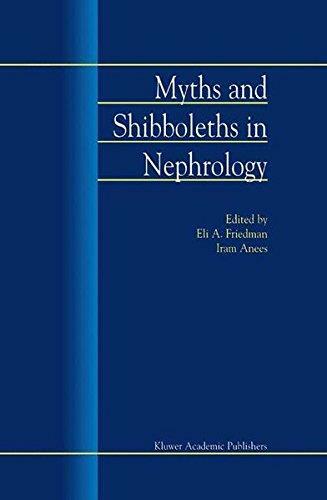 Increasingly, medicine in general and nephrology specifically is based on clinical trials and verifiable presumption. Still, however, much of everyday clinical practice is the consensus of pundits and experts unable to validate their suggestions beyond personal bias. In this unique volume, several core beliefs in renal medicine are examined and challenged. 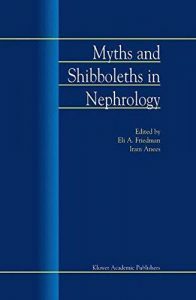 Starting as assignments for nephrology fellows, this book grew out of surprising `revelations’ indicating that `the emperor has no clothes’. 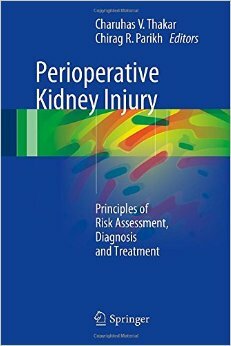 The book is suitable as a stimulus for provocative discussions for nephrologists, internists, house staff, and medical students. 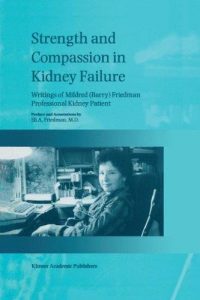 Having kidney failure is not a unique experience. Neither is receiving a kidney transplant or undergoing dialysis. Adopting to irreversible uremia – a devastating illness- by assisting others to cope with their own life trial represents the best of human traits. Bonded by marriage for 42 years, I was privileged to love and live with a marvelous and unique individual whose approach to life with this horrific disease taught me to regard every moment of our existence as precious. 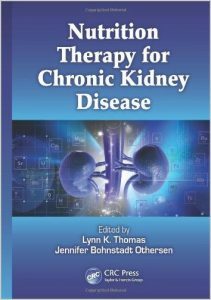 Preparation of this volume had two main objectives: 1) To honor the author for all of efforts in behalf of kidney patients. 2) To disseminate her insights and wisdom to those who may derive comfort and benefit from her words. Mildred (Barry) Friedman was a medical writer and patient advocate devoted to the American Association of Kidney Patients, who died at University Hospital of Brooklyn on September 21 st 1997 at the age of 61 of complications of type 1 diabetes. Barry, the second child of Leontine and Hardinge Barrett-Lennard, was born on October 17,1935 in Manhattan and attended Brooklyn College as a New York State Scholarship Awardee earning a Bachelor of Arts degree in 1953. She subsequently began teaching in the New York City elementary schools gaining a Master’s degree in education. Following the birth of her third child, Barry developed both diabetes and Addison’s disease forcing her retirement from teaching. Because of many advances in medicine and biotechnology, an increasing number of individuals are surviving into old age, and we are now challenged to apply sophisticated medical knowledge to the care of the elderly citizen. In nephrology, individuals older than 65 are the fastest-growing group of patients requiring dialysis. Similarly, in increasing numbers, elderly persons present themselves with renal complaints to their family doctor, the geriatrician or the nephrologist. In August 1998, with the financial support of the John A. Hartford Foundation, leaders in geriatrics, nephrology and urology met in Jasper, Alberta, for one week to discuss their areas of special knowledge and to learn from each other. 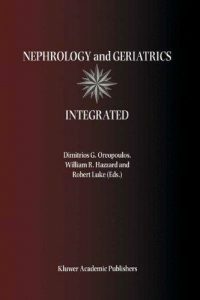 Geriatricians learned from nephrologists, nephrologists learned from geriatricians, and both came to see that they had much in common. All participants discovered a common interest, challenge and commitment, namely, to provide the best renal care to a progressively aging population and to teach their fellows the principles of the other collaborating specialties. 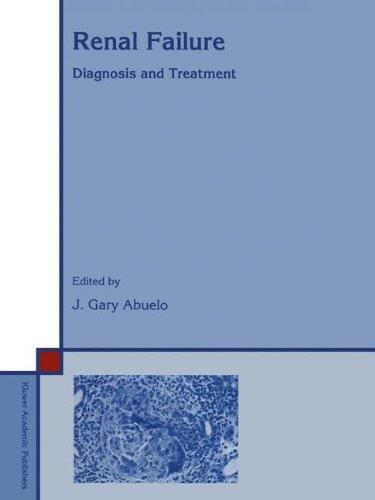 This book contains all the papers presented at this meeting and also the text of group discussions on Training and Education, Special Clinical Problems in Geriatric Patients, and Recommendations in Basic and Clinical Research. 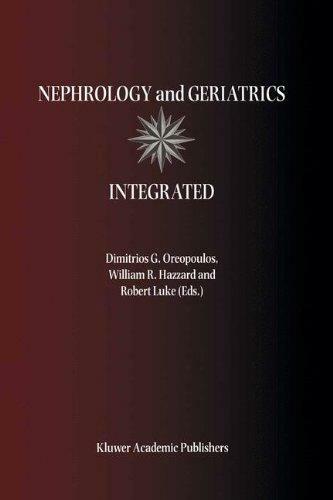 Nephrology and Geriatrics Integrated will prove useful to both nephrologists and geriatricians in their efforts to manage the renal complaints of the elderly, who come to them in increasing numbers. 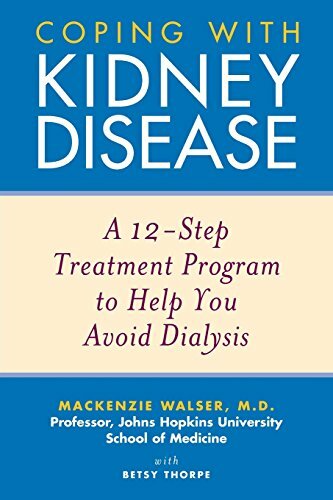 A revolutionary program that can indefinitely postpone the need for dialysis If you’ve been diagnosed with kidney failure, this book could save your life. 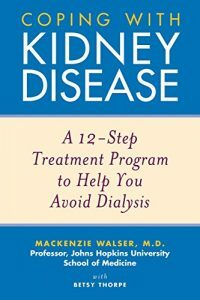 If you suffer from diabetes, hypertension, obesity, or any of a host of conditions that put you at risk for kidney disease, you owe it to yourself to read what is in this book.